I'm an Udon girl. 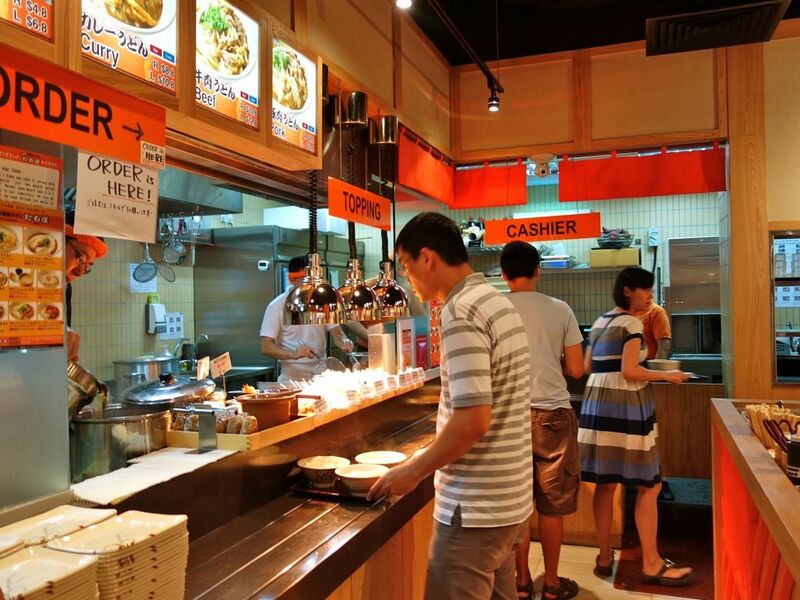 Even when the ramen craze came and swept Singaporeans and foodies around the world off their feet, i remained faithful to my thick chewy white noodles. After I ate at one of those udon and tempura joints in Tokyo, I told S that udon would be the next big thing in Singapore. Of course he didn't believe me. Well now that Tamoya Udon has crossed over to our shores and gained a following, I'm making him eat his own words (or noodles). 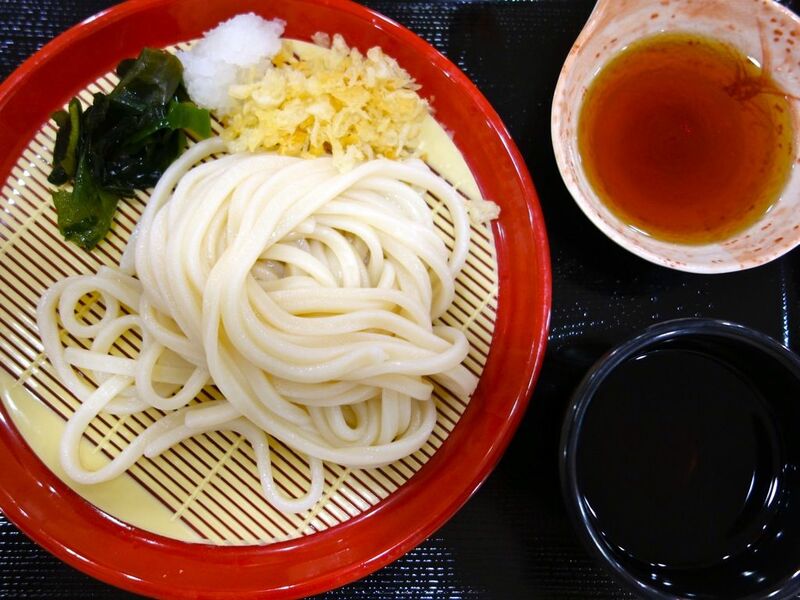 Tamoya was established in the home of udon, Sanuki (now known as Kagawa) prefecture in 1996 by Sanuki udon champion, Tamotsu Kurokawa. The delicious Sanuki udon is hand-crafted from Tamoya's unique flour mixture (made from 3 different flour) to give it that extreme chewiness. The udon starts from $4.80 for a regular portion. There's quite a bit of noodles in this one. A large bowl of noodles (from $6.80) is more than enough for sharing between S and i. I absolutely love the Cold Zaru Udon. 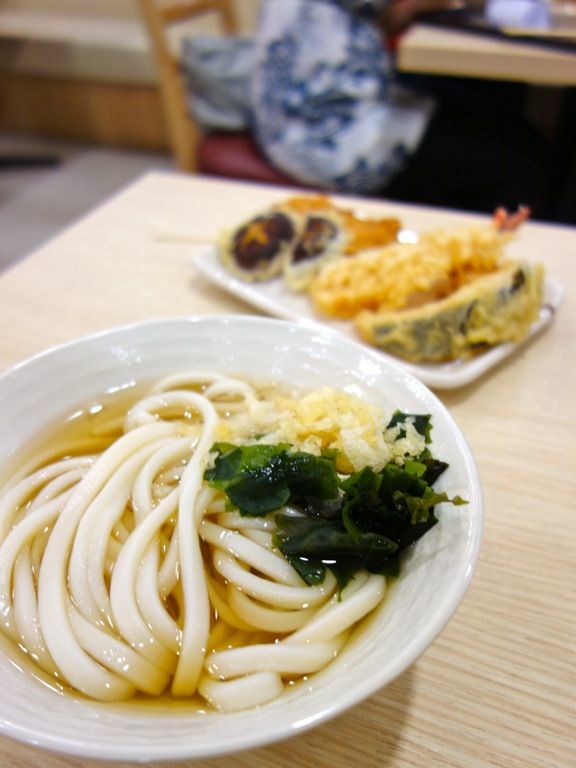 It is so hard to find such QQ cold udon in Singapore! Hot Kake Udon ($4.80/6.80) in Golden Broth is also very delicious. It's a simple but a refreshing dashi stock. The hot udon is not as chewy as the cold one though. Help yourself to the tempura batter, seaweed and preserved plum. But please don't be a cheapo and pile your bowl with them. The tempura selection is rather limited compared to what i've seen in Japan. 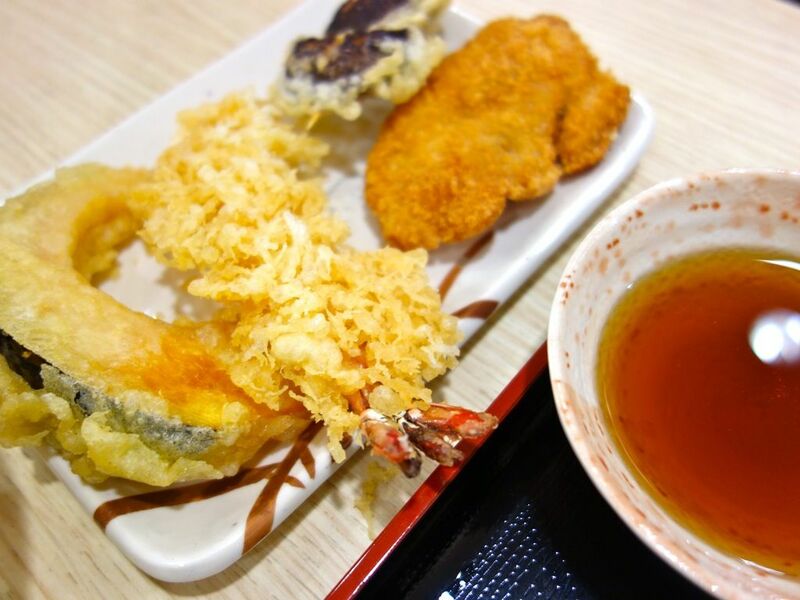 Vegetable tempura are from $1 and the ebi tempura is most expensive at $2.50 each. The tempura isn't the most fantastic actually. 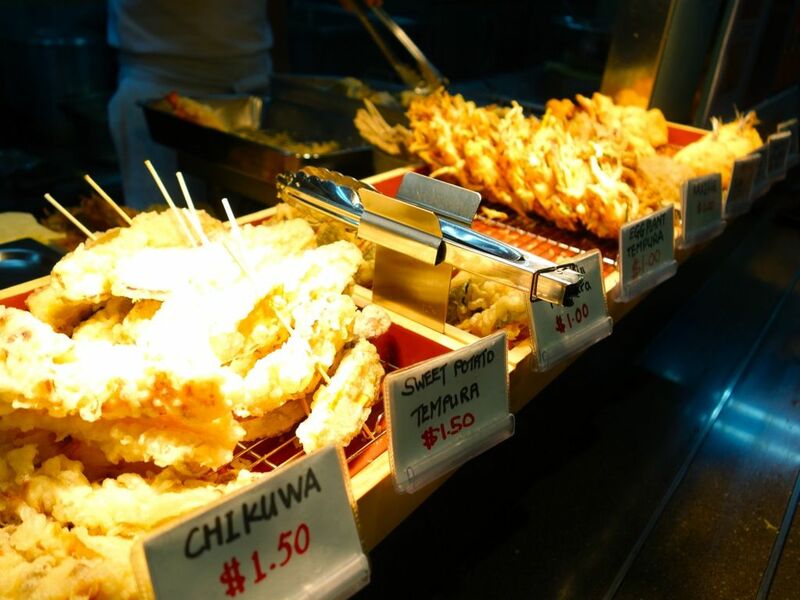 The first time we tried it at the Clarke Quay Liang Court outlet, the tempura items were a little cold and the batter had lost its crunch. The prawn was a little powdery and unlike the typical crystal version that is usually used in Japanese ebi tempura. The fried chicken ($2) was flavorful and well marinated though. The Chinatown Point outlet fared better imo. Tamoya, best value for money and uber delicious udon. This is definitely where i'm heading everytime i have an udon craving. Endorsed by the many Japanese i see digging into the noodles at Liang Court. Check it out if you haven't!